The British coastal town of Dover is only about 30 kilometres from the lighthouse at Cap Gris-Nez. More and more often, the British and French police report migrants trying to cross the English Channel in small boats. In 2018 French authorities counted 71 crossings, according to which 31 attempts failed. 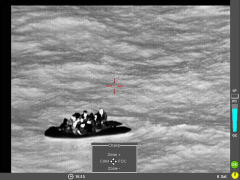 A total of 276 migrants successfully traversed the North Sea and 228 people were stopped. Since November, crossings had reportedly quadrupled. Most of the migrants came from Iran. Intercepting a migrant boat in the English Channel. (Image: PREMAR Manche). There are different assumptions about the reasons for the increased passages. The forthcoming Brexit, for example, will probably lead to more border surveillance in the English Channel. In several unauthorised camps in Calais, many people are also waiting to enter Great Britain undetected on trucks. The evacuation of several camps has increased the pressure on migrants. The authorities have therefore stepped up monitoring of the railway installations in Calais, but also at the French stops of the cross-border Eurostar train. British policemen are also deployed on the mainland. This is based on several agreements on „Juxtaposed controls“ signed by Belgium, France and Great Britain after the opening of the Eurotunnel. They are intended to compensate the abolition of internal border controls under the Schengen Agreement and prevent asylum seekers from arriving at St Pancras station in London. In 2003, France and the UK signed the Le Touquet Treaty allowing British controls on the ferries at Calais, Dunkirk and Boulogne-sur-Mer. 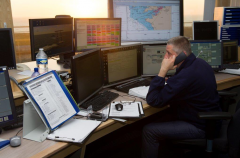 Authorities from both countries work together in a joint coordination centre in the port of Calais. French watch tower near Cherbourg. (Image: PREMAR Manche). 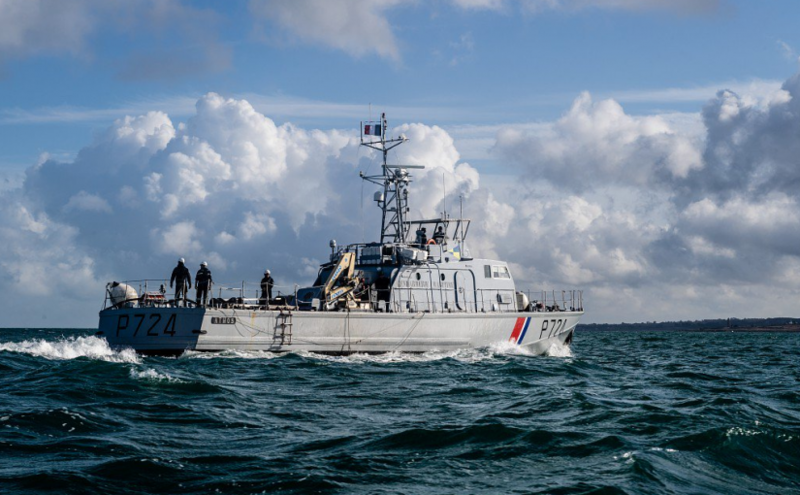 Last week French Interior Minister Christophe Castaner presented a package of measures which includes more police and gendarmerie in the ports of Boulogne-sur-Mer and Calais and more customs, maritime and naval operations. Special attention will also be paid to beaches and „potential launch sites outside ports“. Boat sellers, boat rentals and private port managers will be involved in the fight against „human smugglers“. The British government also wants to monitor the English Channel more closely and has announced that it will send two patrol boats from the Mediterranean Sea to the North Sea in addition to a naval ship already ordered. One of the ships had previously been deployed in a Frontex mission. In a telephone conversation, French President Emmanuel Macron and British Prime Minister Theresa May had expressed their „concern“ and agreed on more cooperation. Further measures are now to be laid down in a „Joint Franco-British Action Plan“ which the interior ministers of the two countries intend to adopt after an upcoming meeting. Britain’s Home Secretary Sajid Javid has already announced that he will help the French authorities to monitor the borders, in particular by financing drones, radar and video surveillance. The market for border surveillance equipment will therefore continue to flourish, with manufacturers benefiting from the European policy of partitioning as they do in the English Channel. Airbus advertised its border surveillance technology three years ago as particularly suitable against a „wave of illegal immigrants“. In a grant agreement, the German Ministry of Defence purchased technology from Airbus in order to improve border security in Tunisia for „protection against terrorist and other cross-border threats“. The EU Commission is financing a project by the Italian government to set up a sea rescue control centre in Libya. Control centre CROSS in Griz-Nez. (Image: PREMAR Manche). With regard to the sale of the „STYRIS“ system to authorities in France, Signalis declares that the technology will not be used for migration control. Rather, dangerous collisions in the busy waterway are to be avoided. Large ships in particular can hardly avoid an obstacle. In addition, strong currents and winds prevail at this point in the English Channel. Calls for help are usually made at night, when the boat has to be located. A shipwreck has not yet been detected. A „Vessel Tracking System“ is indeed part of the basic equipment of every port authority and is based on data from transponders with which commercially used vessels can communicate their location and their identification at any time via GPS. Their direction of travel is displayed on a screen, and the lane can also be seen as a glow. Usually, data from a coastal radar is also included, in this way small boats are recognized and differentiated. Common operation of British and French authorities. (Image: PREMAR Manche). Such a „Vessel Tracking System“ can be upgraded with additional sensors. For example, Signalis mentions a video surveillance system that has a range of up to 28 kilometers and thus roughly could cover the distance in the English Channel. The system can also integrate infrared cameras. It also allows warning messages to be programmed, for example if a collision is imminent or if previously defined areas are to be entered. Other authorities can access the data via an interface, including customs, police, border authorities and the navy. Depending on the equipment, the „Vessel Tracking System“ then becomes a platform for the entire coastal surveillance. Signalis mentions border security, irregular migration, piracy, terrorism, smuggling and sea rescue as possible applications for such a „Coastal Surveillance System“. Information from aerial surveillance can also be used for this purpose. Signalis advertises that both Airbus and ATLAS Elektronik market corresponding applications for helicopters, aircraft and drones. The surveillance system is particularly specialized in the detection of small „targets“ and reports suspicious ship movements. „Abnormal“ means, for example, that vessels suddenly change speed or direction, are blacklisted, reported stolen or have been involved in incidents before. Further information can be obtained from the ship database at Lloyd’s Insurance Market, including ship itineraries, inspections and shipyard visits. 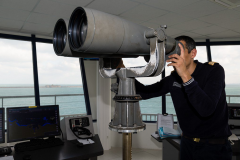 The European Union uses a similar procedure in its border surveillance system EUROSUR, which also detects suspicious ship movements in the Mediterranean. It is managed by the border agency Frontex and integrates information from satellite reconnaissance. The images come from the EU Satellite Centre or are purchased from commercial providers. Airbus is one of the main suppliers, and the Group also earns from using its „Space Data Highway“ for faster data transmission.